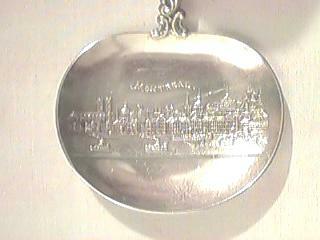 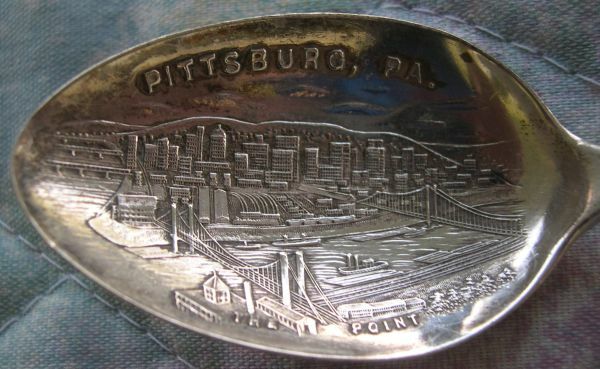 I am impressed with the artistry of the individual engraver. 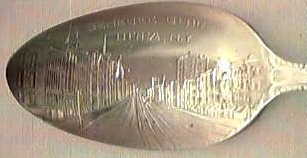 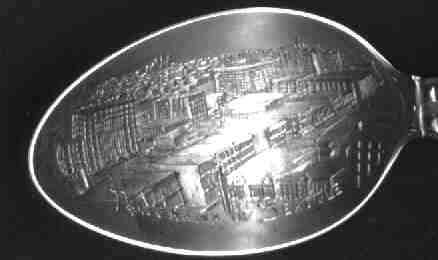 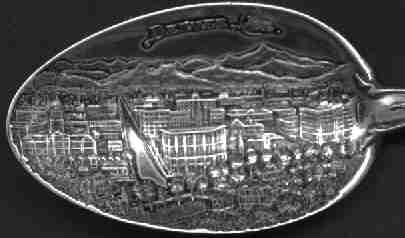 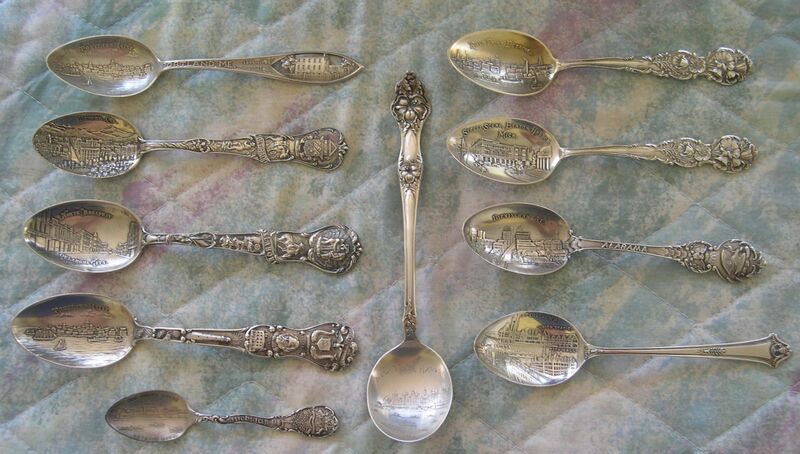 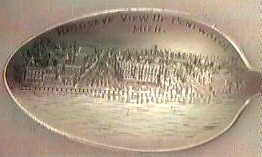 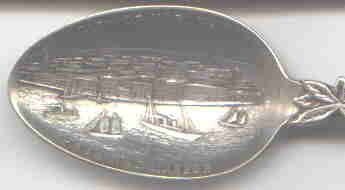 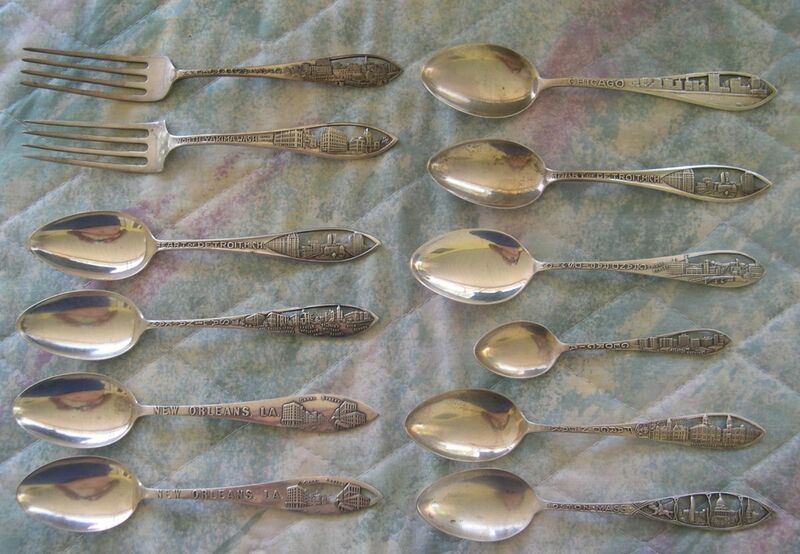 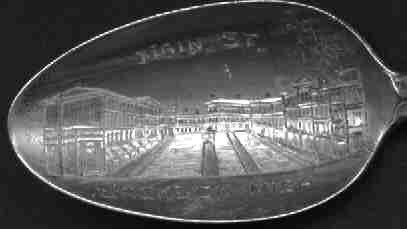 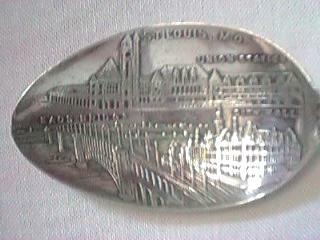 These spoons show less common street views, but they are the work of a single engraver artist. 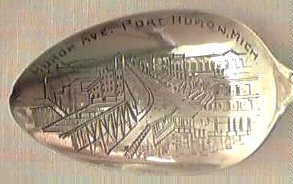 Complete Havana Cuba spoon with a hand painted enameled final. 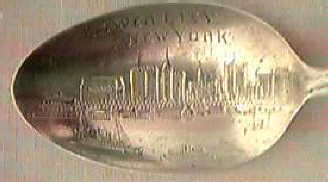 The handle contains a machete which is used in sugar production. 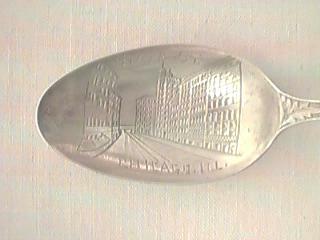 This very pretty spoon was made in Birmingham, England in 1911, but it is much more in the American style than the British style.